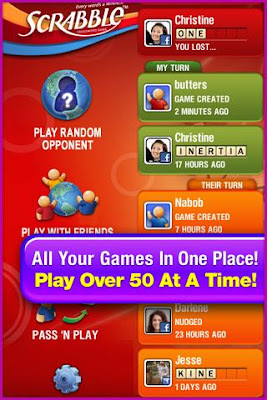 Scrabble (Android) - It's here! ~ Android Forever! Scrabble (Android) - It's here! Android users have been green with envy over the iPhone app Scrabble for a while now. Well, not really, but we've wanted to have Scrabble on Android and finally it's here! And it's Free! And we can play with our iPhone and Facebook friends! And, well just download it and you'll see. Scrabble is FREE on the Android Market!